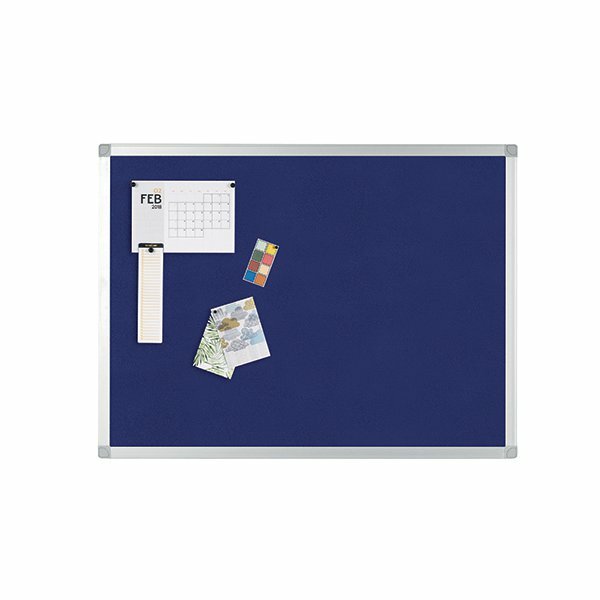 The smooth felt surface of this Q-Connect Noticeboard provides an eye-catching display area for affixing documents. The board comes with a fixing kit for mounting securely to your wall. The anodised aluminium frame features plastic corner caps to conceal the fittings for a flush finish. 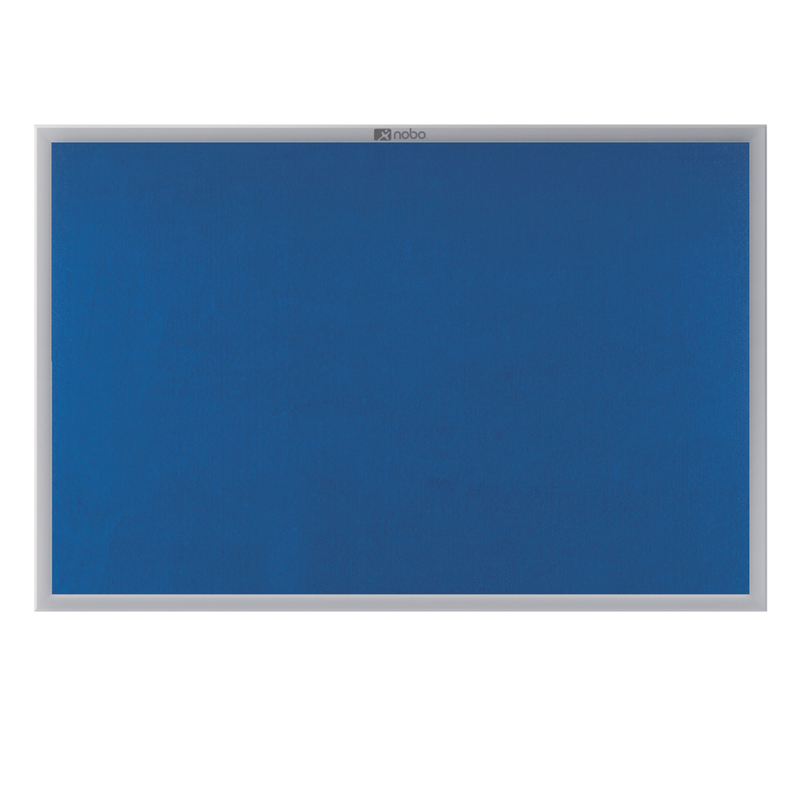 This blue board measures 900 x 600mm.